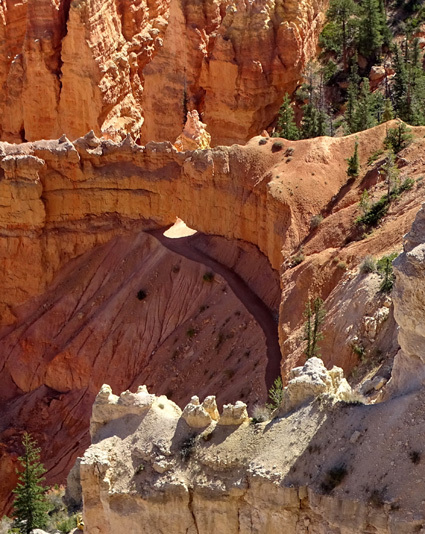 full [Bryce] amphitheater and all its wonders amaze the visitor." 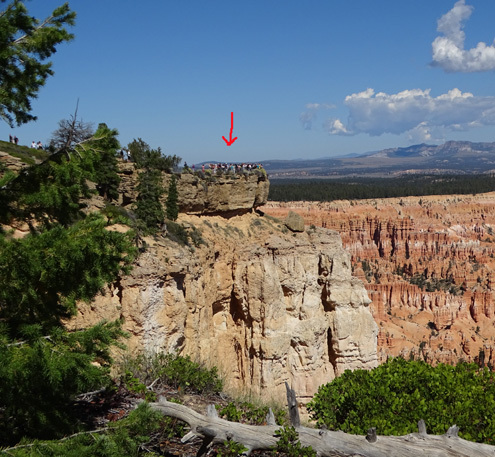 In a previous entry I showed photos of and from the major overlooks above Bryce Canyon, including Bryce Point. 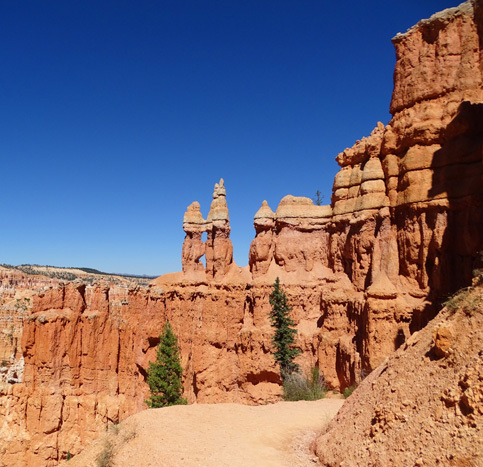 I've already written about the Rim Trail. 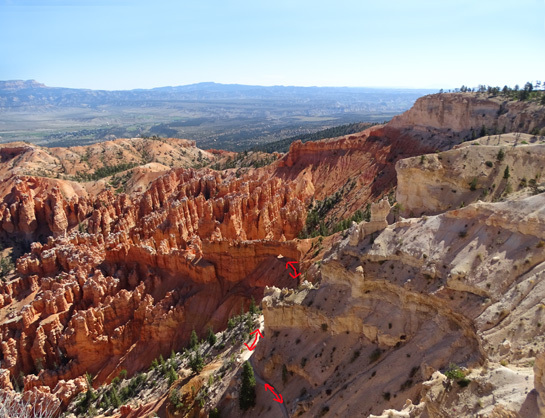 This entry focuses on the 1.1-mile Bryce Point Trail, which I marked in yellow on the map above. 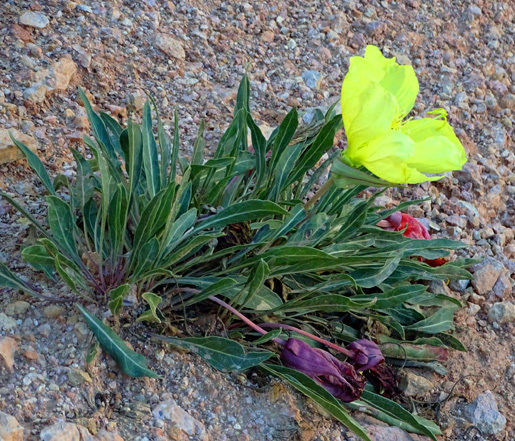 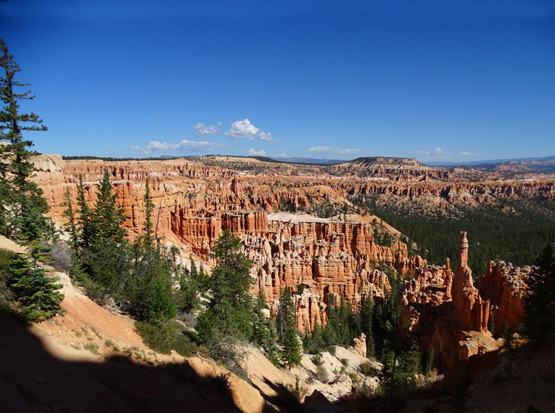 I'll show photos from the Under-the-Rim Trail to the Hat Shop rock formations in the next entry. 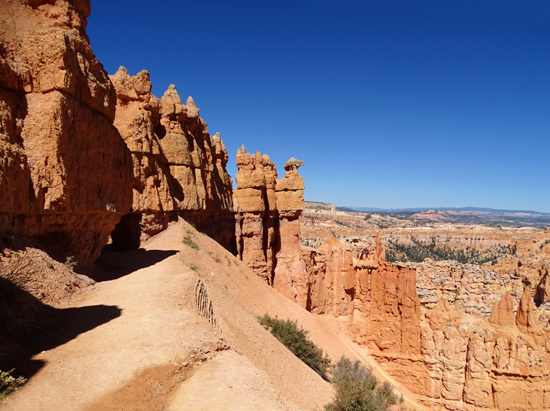 I really like the views into and beyond the main amphitheater from the Bryce Point Trail. 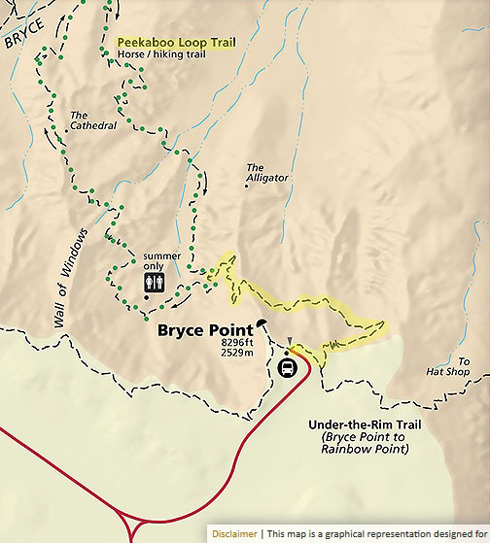 I hiked it twice this fall as part of longer hikes to or from the Peekaboo Loop, and several more times in spring and fall 2016. 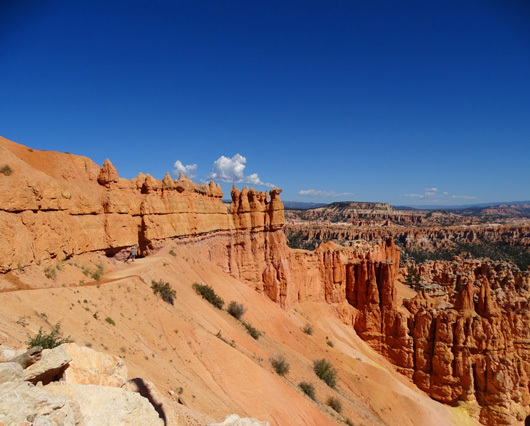 These photos are ones that I took on two different days in September, 2015 and show views in both directions (up and down). 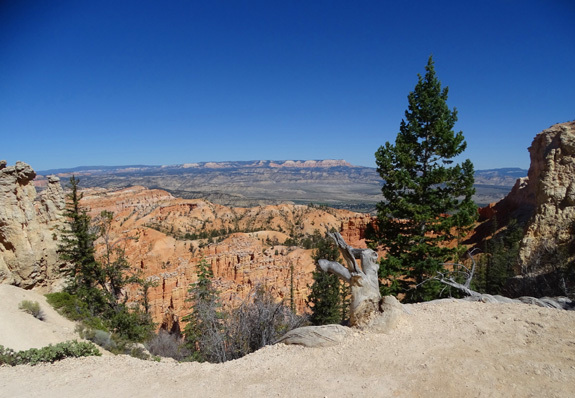 I was hiking solo the first time, going up to Bryce Point from the canyon after hiking the Rim, Queen's Garden, Navajo, and Peekaboo trails. 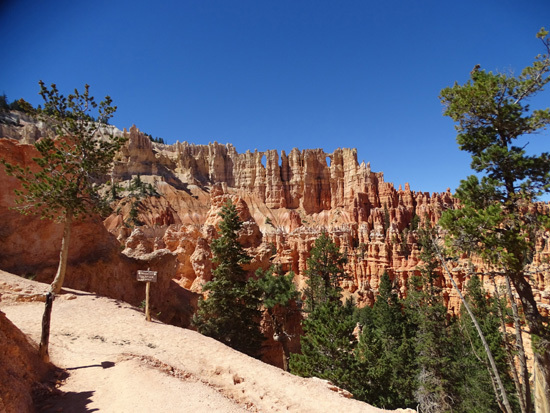 The second time, when I wanted to hike the shortest route to show Jim the Peekaboo Loop, we went down the Bryce Point Trail, hiked around the loop, and returned back up to Bryce Point, where we were parked. 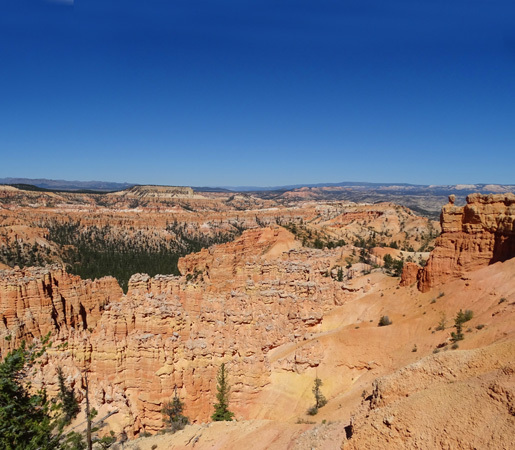 We hiked a total distance of 6.2 miles that day, including a little bonus distance to see the views from Bryce Point. 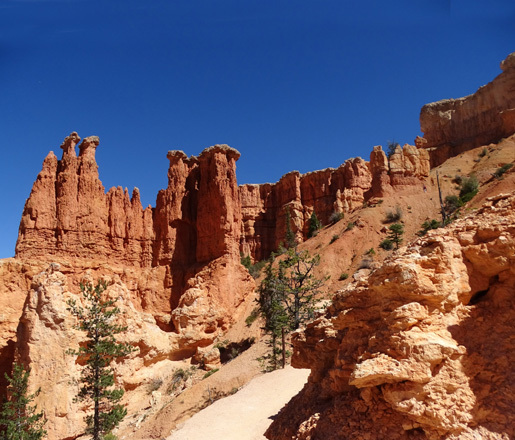 A shorter way to enjoy the expansive views along this trail is to simply park your own vehicle at -- or ride a shuttle bus to -- Bryce Point, go down the Bryce Point Trail as far as you want, and come back up without doing the Peekaboo Loop. 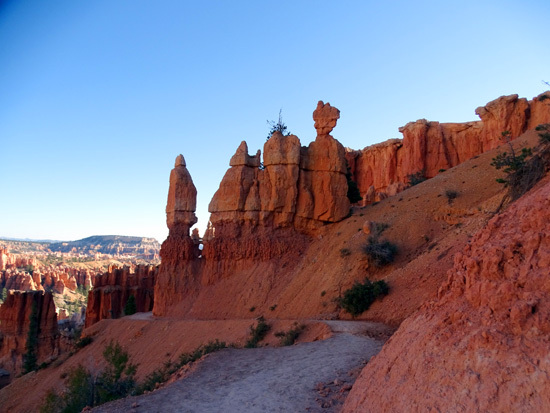 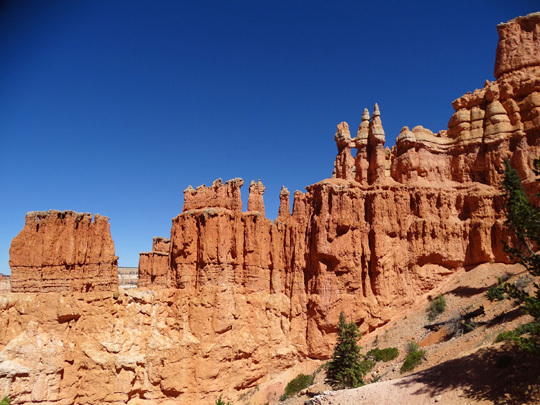 The Bryce Point Trail has an elevation gain or loss of about 500 feet over one-plus mile. 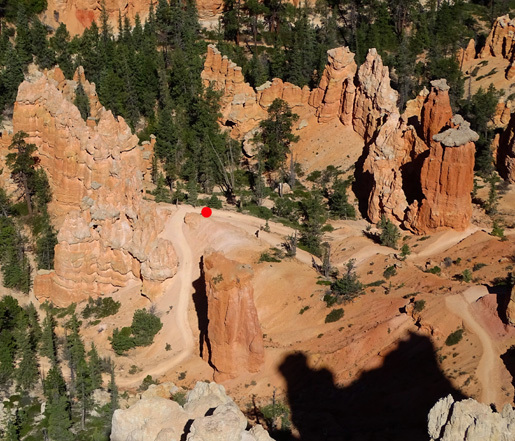 That's a moderately easy elevation gain/loss but feels harder if you aren't acclimated to the higher altitudes in this park. 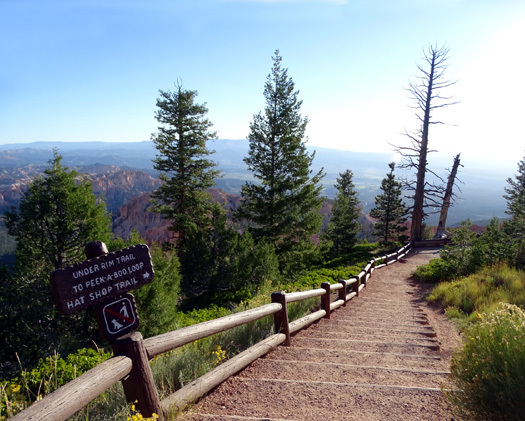 The elevation at the overlook trailhead is about 8,300 feet and about 7,800 feet where the trail intersects with the Peekaboo Loop. 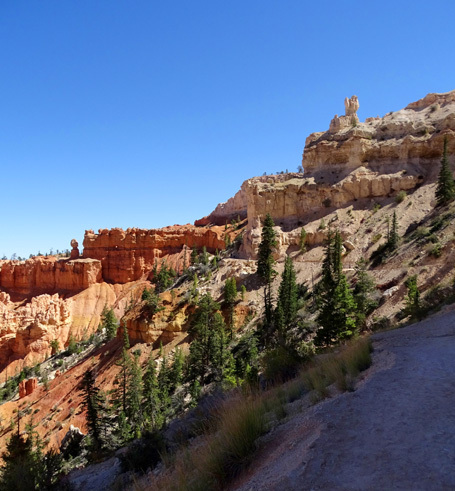 Switchbacks at the beginning and end of the Bryce Point Trail where there is the most elevation gain and loss make those slopes more gentle, and the middle part of the trail is rather flat. 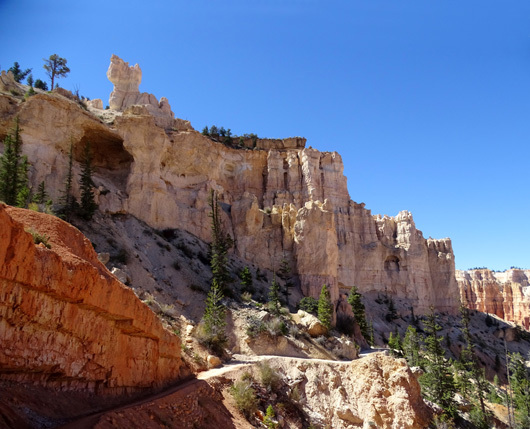 The trails and connectors through and above the main amphitheater -- Rim, Queen's Garden, Navajo, Peekaboo, and Bryce Point -- are all generally wider and smoother than the trails in the wilderness areas within the park, like Fairyland and Hat Shop. 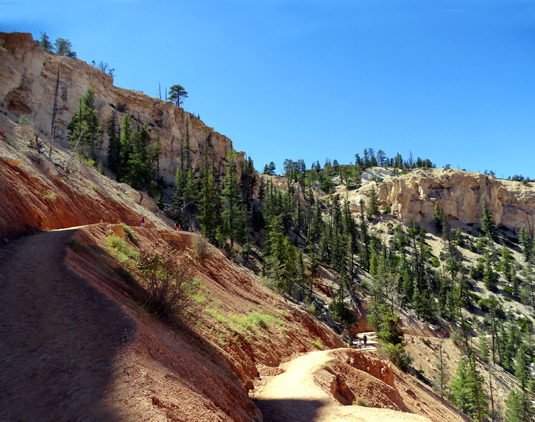 Although most of the Bryce Point Trail dries out rather quickly, some of it can get quite muddy and/or sticky when soaked with rain or melting snow. 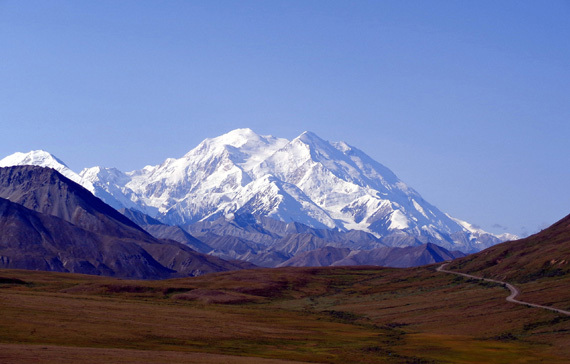 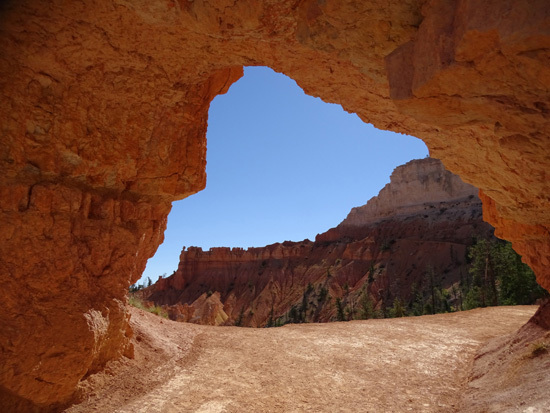 If people walk over it when it's wet their footprints, sometimes two or three inches deep, can harden and make walking difficult for a few days until the surface is smoothed down again by more hikers. 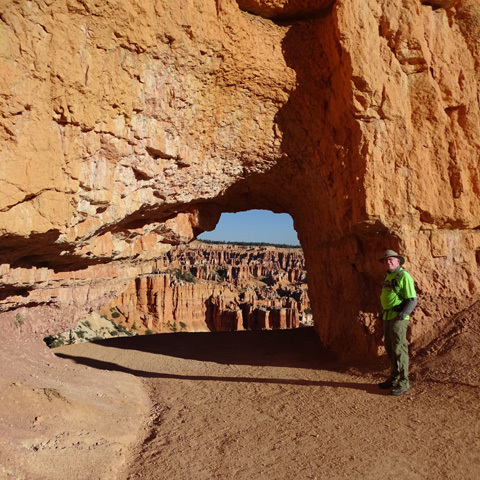 Neither mud nor hard, gouged-out surfaces were a problem the two times I hiked the trail this fall but I encountered mud so sticky the next spring that I turned around after about 100 feet from the upper trailhead. 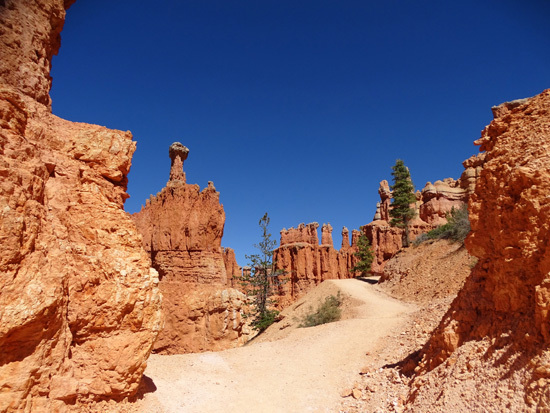 It was like walking in wet cement so I found another drier trail to hike that day. 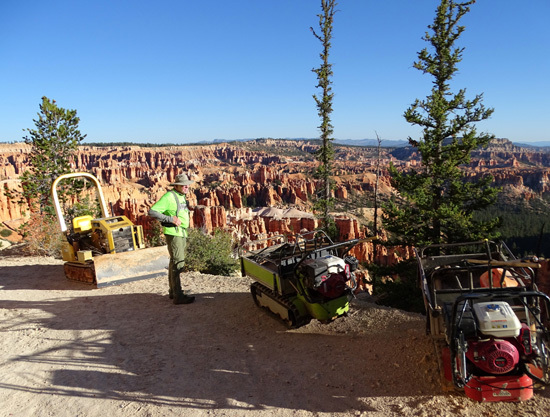 Jim inspects several pieces of trail equipment on the Bryce Point Trail. 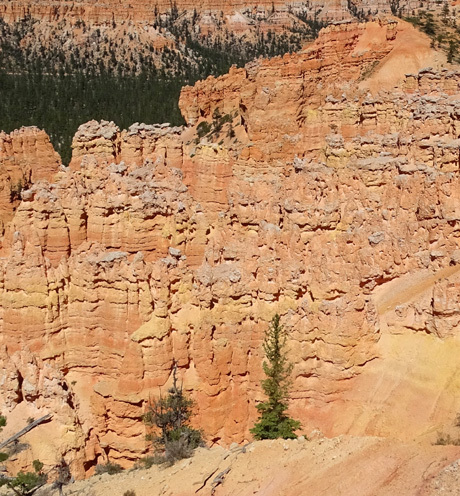 There are narrow switchbacks on the initial descent from Bryce Point, then these broad ones. 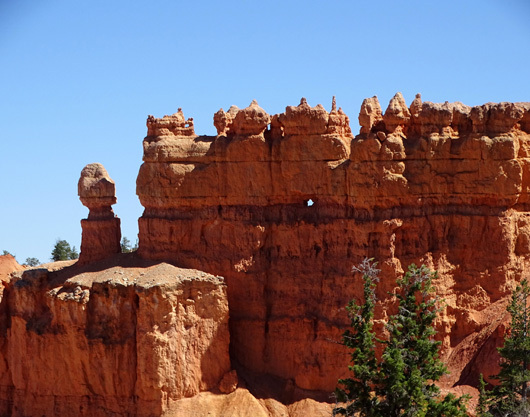 There's a tiny window in that rock fin. 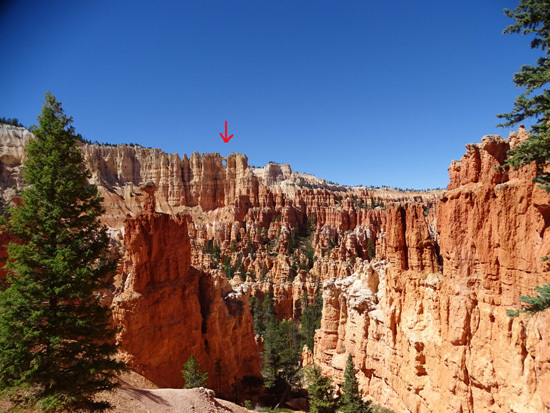 You can see the Window Wall on Peekaboo Trail from parts of the Bryce Point Trail. 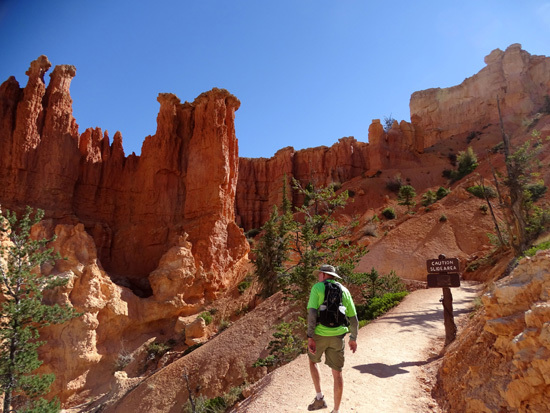 Jim passes a sign warning hikers about potential rockslides. 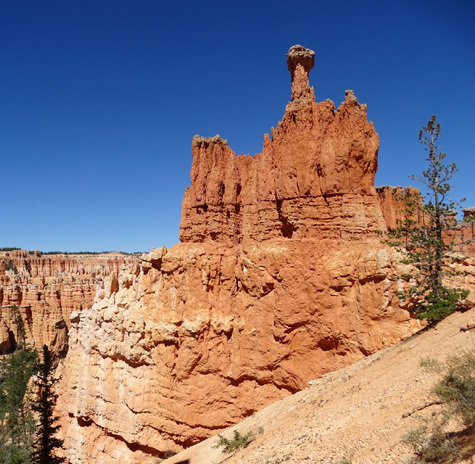 If you have just a short time at Bryce Canyon and want to find a scenic trail that's relatively short, not too steep, isn't crowded with other visitors, and has a variety of colorful rock formations and great views, consider going out and back on the Bryce Point Trail from Bryce Point. 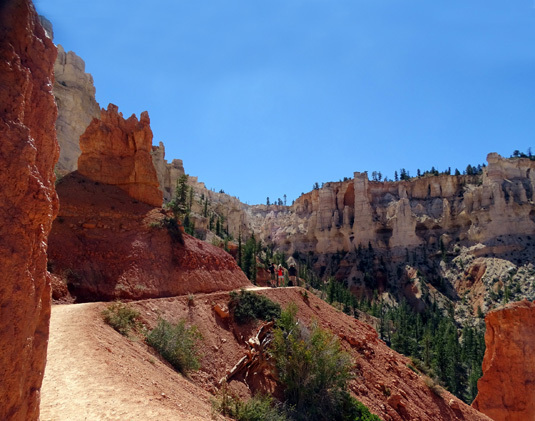 Hiking only one mile down and one mile back up will reward you with as many features that make Bryce Canyon unique as any other trail in the park -- for less time and effort. 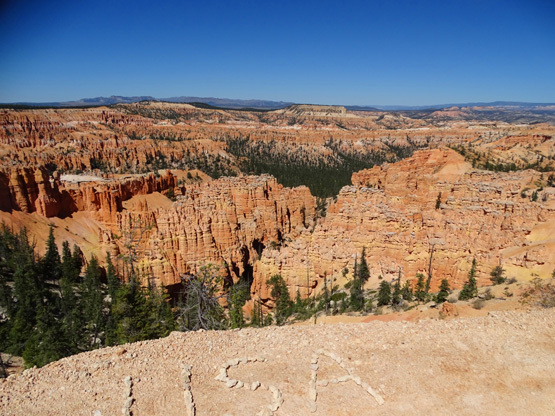 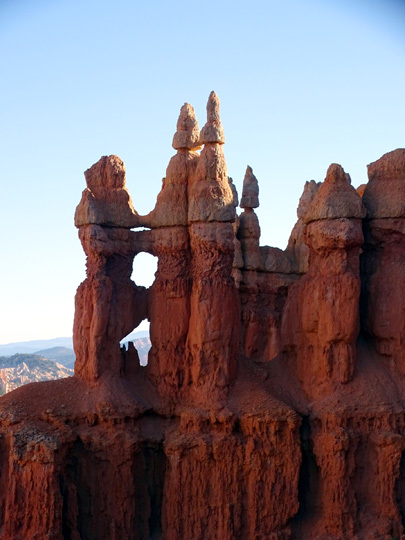 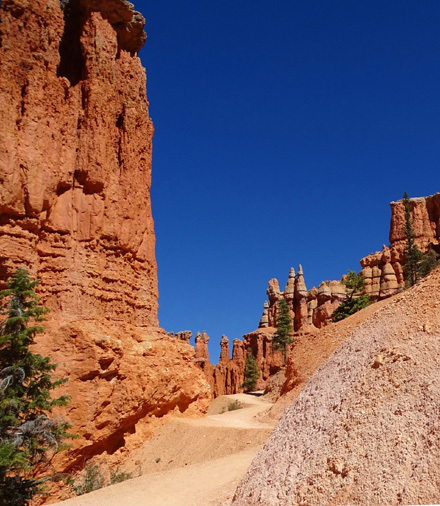 the Bryce Point and Peekaboo Loop trails -- without having to hike Peekaboo. 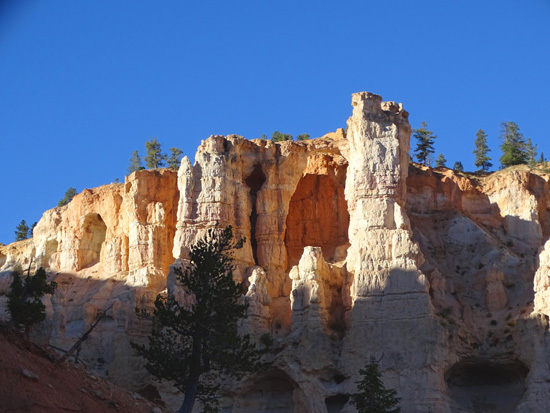 It's also a good way to connect to the Peekaboo Loop and other trails through the main Bryce Amphitheater.